Somax Performance Institute (golf-swing-video.com),the leader in analyzing, measuring and improving the golf swing, is proud to announce their new golf swing DVD The Somax Golf Swing. 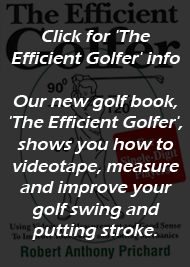 The Institute, which has more than 1,000,000 views of its golf swing analysis videos on YouTube, has produced the first golf swing DVD that shows golfers step-by-step instructions for analyzing, measuring and improving the efficiency of their golf swing. British PGA pro Jonathan Smith followed the directions in The Somax Golf Swing DVD and videotaped, analyzed, measured and improved his golf swing for two months in his backyard during the recent brutal English winter. When he was finally able to hit some balls at his local course, he was amazed to see that he hit nine 300-yard drives that all landed in a 10-yard circle. "In 23 years of playing and six years of teaching, I have never seen this combination of distance and accuracy," says Jonathan Smith. "If I had taken more golf balls with me, I could have done this all day long.” Smith later played the front nine, hitting the center of the green from the tee 298 yards with his driver—and his new Somax golf swing. 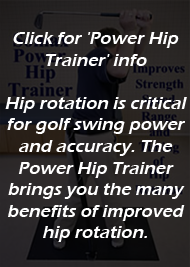 Golfers can see videos of his round at http://www.golf-swing-video.com Bob Prichard, Director of the Somax Performance Institute, says "We ask golfers: why try to imitate tour golfers when you can develop a better golf swing on your own with our new golf swing DVD?" 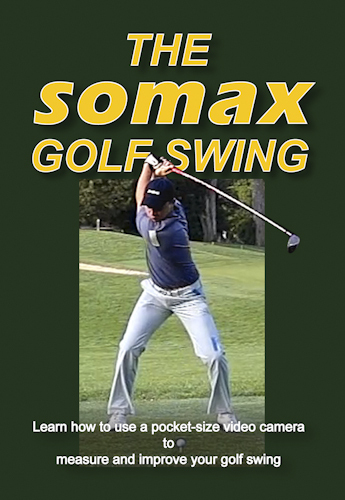 The Somax Golf Swing DVD is only $159 with a 30-day money-back guarantee and is available at http://www.golf-swing-video.com. Two DVD disc set. Disc One contains instructions for purchasing, setting up and using an inexpensive high speed video point-and-shoot camera, measuring and analyzing your videos, and then how to improve your golf swing mechanics. Disc Two contains slow-motion videos of an efficient Somax golf swing. The DVD set also includes a special transparent protractor for measuring your alignment, a Record Book to record your measurements, and a Record Book to record your flexibility measurements. The Somax Golf Swing is much simpler and easier to learn than the conventional modern golf swing. Jonathan Smith learned the swing on his own in just two months, compared to the years it takes to learn the conventional modern swing. The Somax Golf Swing shows golfers how to increase their distance and accuracy—something impossible with the conventional modern golf swing. Golfers who purchase The Somax Golf Swing will be eligible to join a private Somax forum where they can post their videos and ask questions. Since 1970, Somax Performance Institute has helped athletes of all age improve their performance by improving their efficiency, rather than their strength and endurance. Their 17 Olympic athletes have won 44 Gold Medals and have set 11 World Records. Their pro golfers have won the US Open as a rookie, increased their putting from #113 to #1, quadrupled their tour income and increased their longest drive from 295 to 400. Amateur golfers have increased their distance, lowered their handicap and eliminated back pain as they improved their golf swing mechanics.